We’ve had to make a tough decision. Unfortunately due to a variety of reasons (which I outline below) we need to increase our prices in 2017 following our financial year. So please read through this email carefully to make sure you understand exactly what is going to happen, what it means for you and what your options are going forward. We are sincerely sorry that we have to do this. We’ve never increased our prices or had to stop offering any of our packages in the 3 years we’ve been doing business. However, in this case, we simply have no choice. We have absorbed this loss for as long as we could but we finally got to the point where we unfortunately have to do something about it. The Rand has depreciated significantly over the last few years and our shared hosting platforms are all built around dollar based software and hardware costs. Our overall costs for providing the service have increased dramatically. The loss we were taking has now dramatically ballooned in size compared to what it was 6 years ago – we can simply no longer afford to keep losing the amount of money we are every month on the basic website and corporate identity packages. Electricity and power is another core input cost in a shared hosting environment and unfortunately Eskom has also significantly increased the cost of electricity over the last 6 years. This has led to even larger losses on these small packages and necessitated this change. Visit our online store to get the latest prices on our services and products offerings. So what exactly is going to happen? 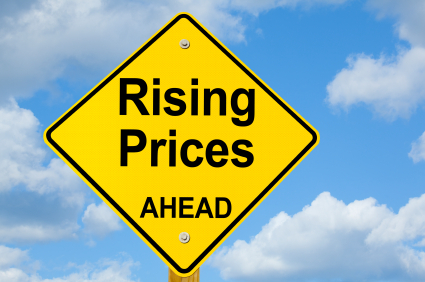 On the 1st of March 2017, all our prices will have a slight increase. This however does not affect web hosting packages.